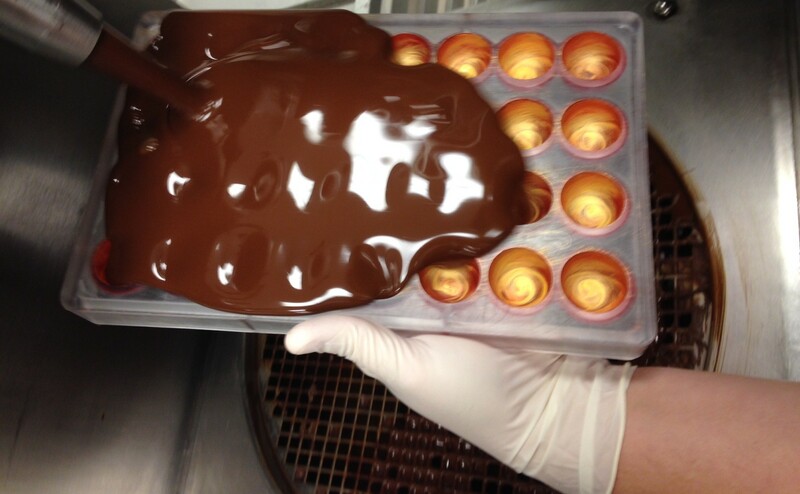 A chocolatier is an artist. 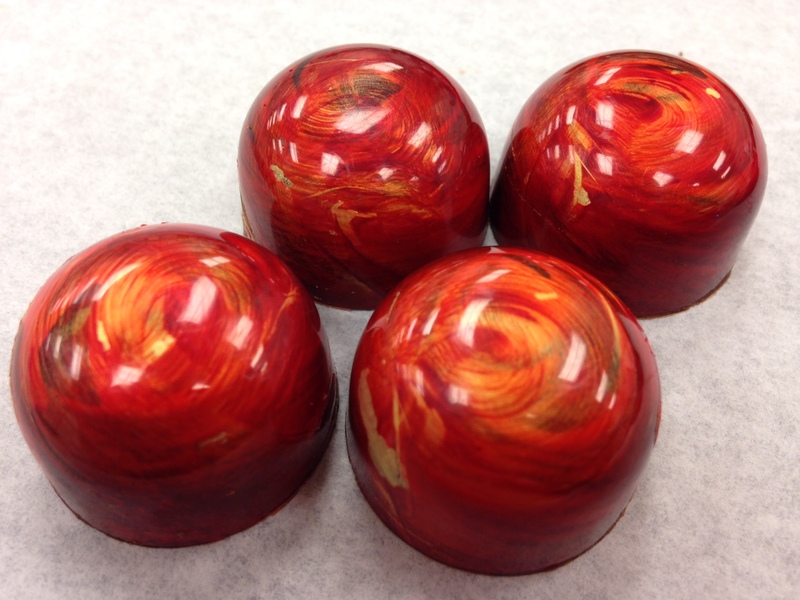 Chocolatiers are the Porches of Pastry and Dessert Chefs. Creativity, patience and attention to detail are 3 skills that is a must have in their business! 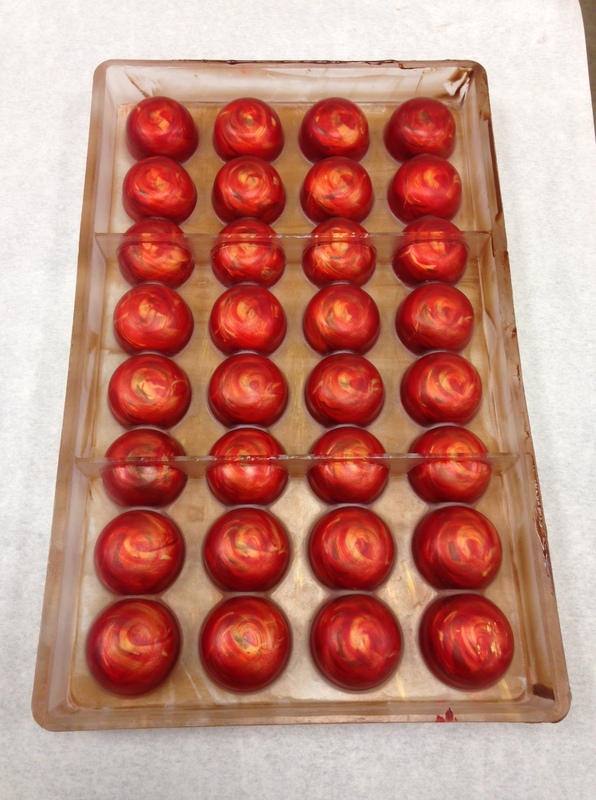 A chocolatier makes confections out of chocolates. Their chocolates include gourmet dark, milk and white chocolates, gourmet truffles as well as their ultra premium collection – Norman Love Confections BLACK™, which is their fine dark single-origin chocolate confection. These consists of five chocolates, where the cocoa beans are sourced from the world’s five premium growing regions – Venezuela, Peru, Ghana, Tanzania and Dominican Republic. 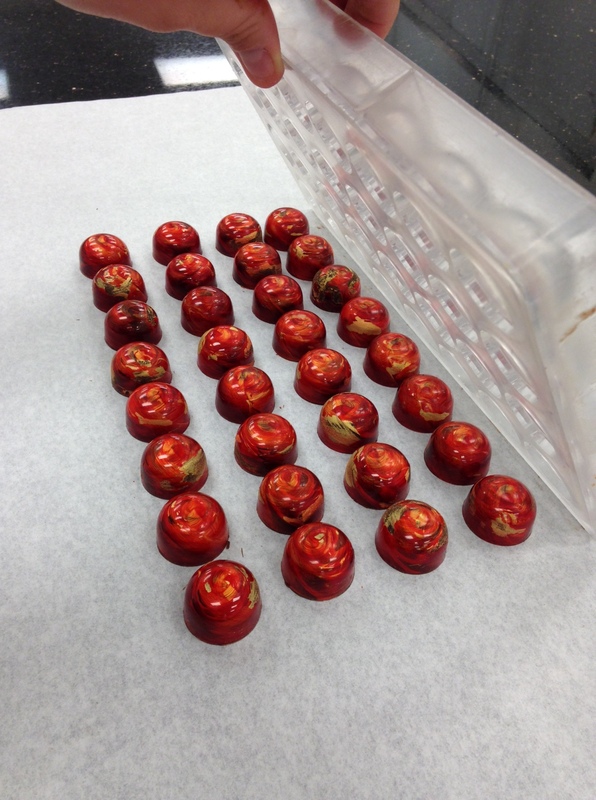 Chef Maura and her manufacturing and design teams work on their chocolate creations from molds or by hand and with machines. They carve their own molds and design their own recipes. On a normal day, their production facility makes over 35,000 pieces in a day and 20 – 25 varieties. Airbrushers starts at 6:30am and production is complete as well as their factory cleaned by 6pm. Their busiest times of the year are the holiday times between October 1st and January 2nd. The runners up are the weeks of Valentine’s Day, Easter and Mother’s Day. 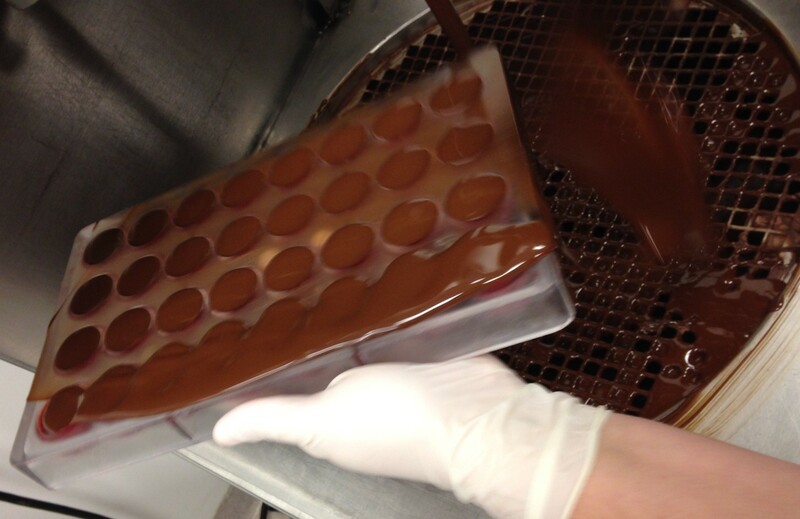 Outlined below by Maura shows each step of love that goes into what their Chocolatier process looks like. 1. Color the clean and cotton polished interiors of the Poly Carbonate plastic mold with colored cocoa butter from Chef Rubber. 2. 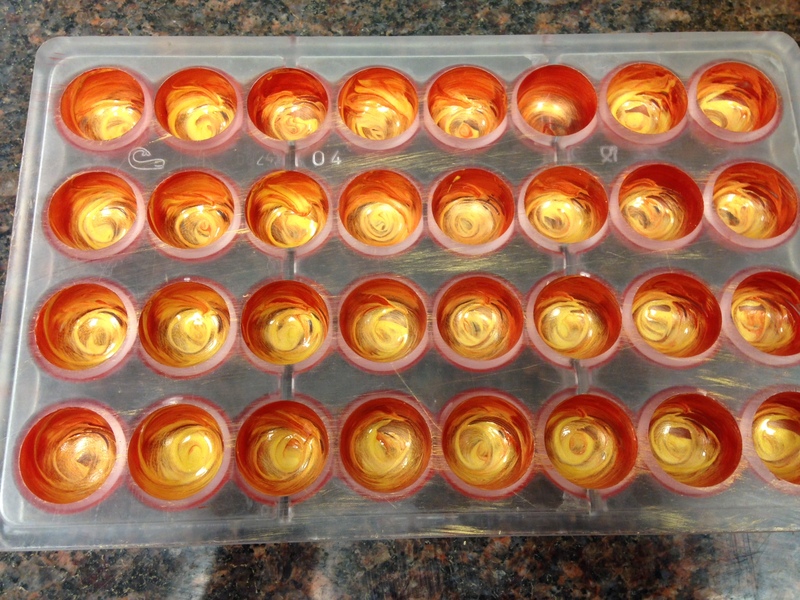 Apply the second layer of color to the mold cavity, this is a glitter gold colored cocoa butter. 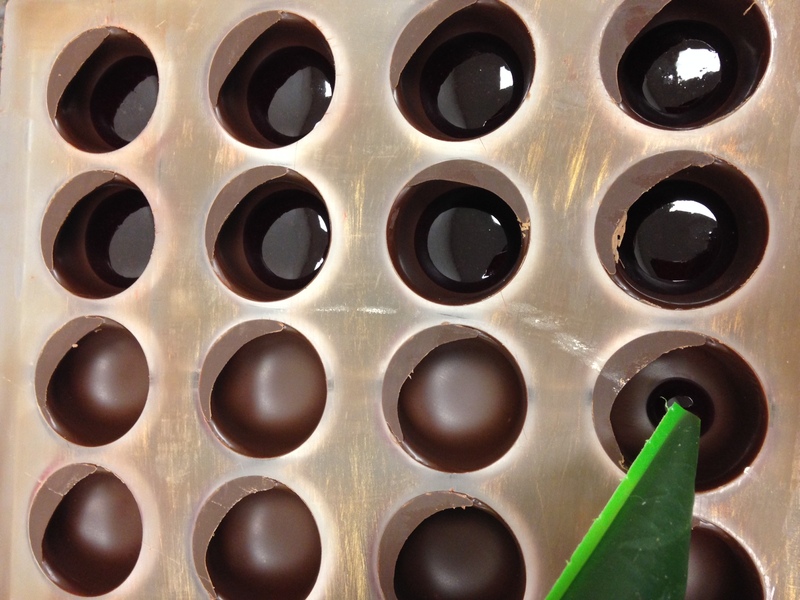 3 .Casting the mold is how we create the shell, tempered dark chocolate is poured into the mold. 4. The chocolate is cleaned off the face of the mold and leveled with a steel scraper. 5. 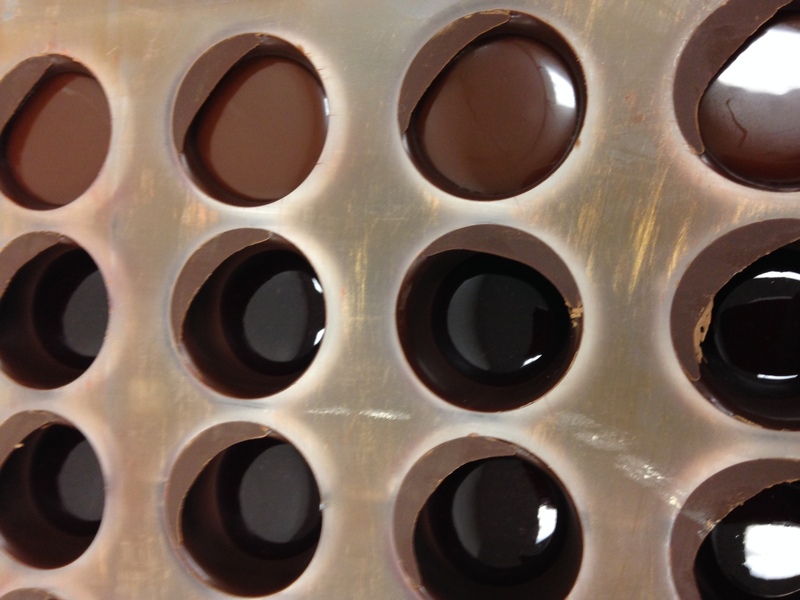 After the air has been tapped out the chocolate is dumped out of the mold leaving a thin layer coating each cavity. 6. The excess chocolate is scraped away and the mold is placed face down onto a piece of parchment paper atop a marble or granite polished slab to set. 7. After the heat is drawn out of the chocolate from the granite/marble, the chocolate sets enough to be pulled clean from the parchment. Then it is scraped again with the steel scraper and placed in an area to cool between 40-60 degrees Farenheit. 8. 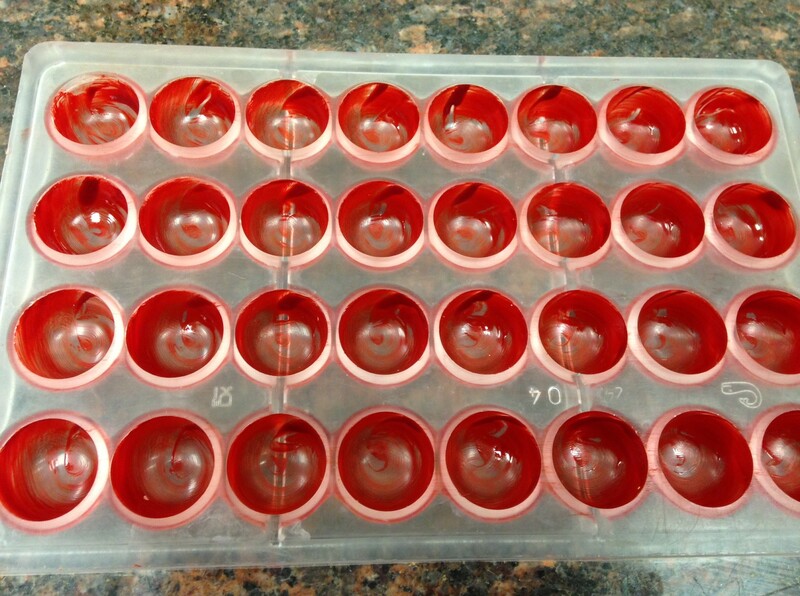 When the mold is set and each shell is released from the plastic mold, a consistent amount of the cooled cherry jam is piped into each cavity. 9. A layer of the cooled Elvesia ganache is then piped on top of the jam. 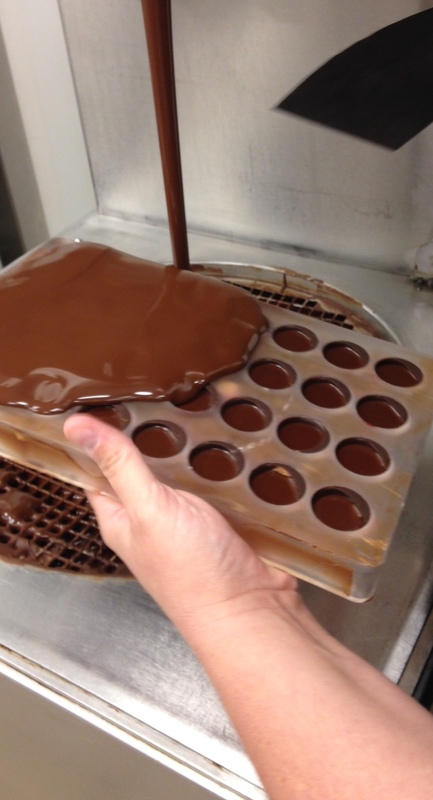 It is important to leave a space about as thick as the chocolate shell above the ganache and not to fill the cavity completely, the mold is chilled between 40-60 Farenheit until set to the touch. 10. 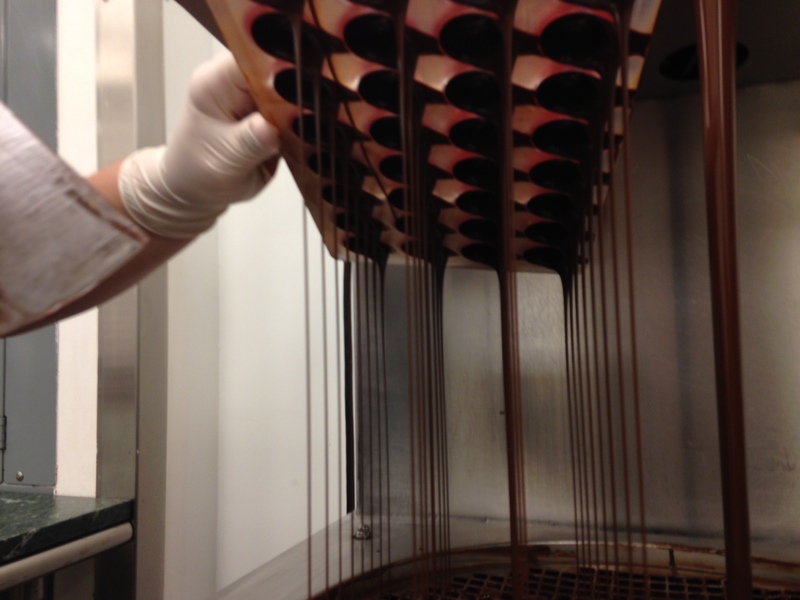 A final layer of chocolate is poured onto the set filling. 11. 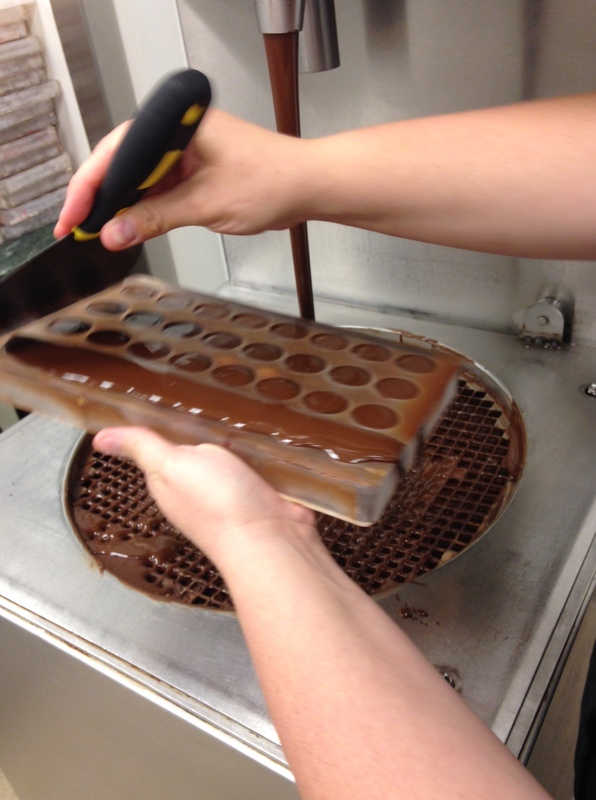 It is leveled with a steel scraper to seal the ganache inside and the “foot” is allowed to set at room temperature. 12. 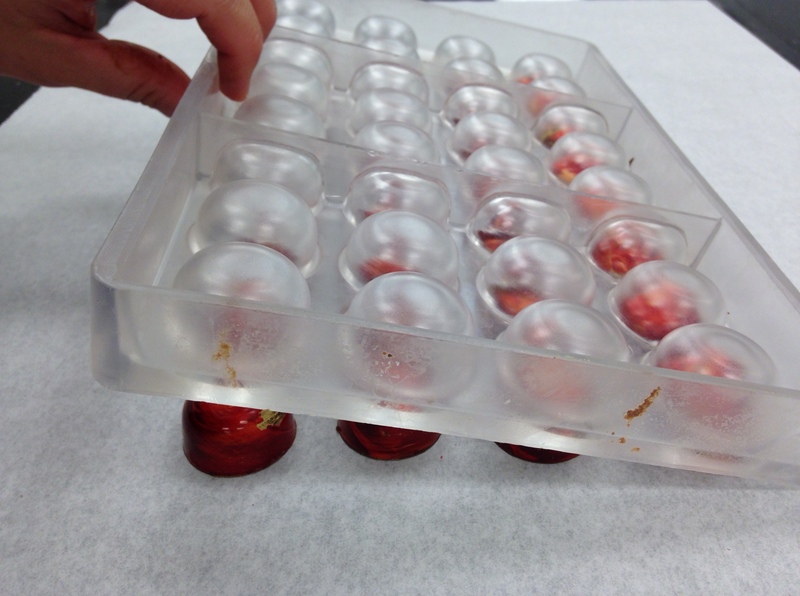 Once set completely, the mold is flipped and one side is tapped onto a parchment covered marble or granite surface to release the chocolates. 13. If done correctly, all the chocolate should fall out. 14. 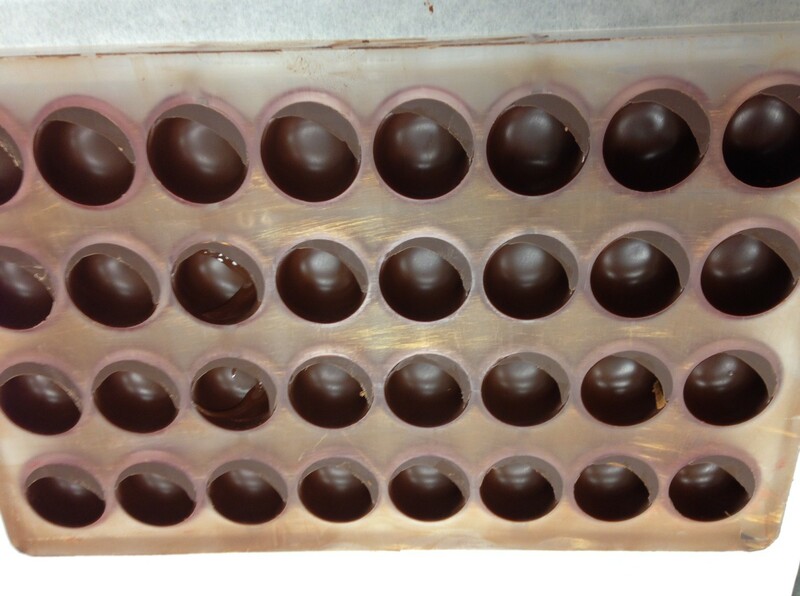 Perfect chocolates leave the mold cavities shiny, clean and ready to be reused once they return to room temperature. 15. Each piece is unique when made by hand like all art. If our Home Chocolatiers would like to try this at home, this process can take 3 – 4 hours from start to finish creating 1 mould. See below the recipes for the Cherry Vanilla Jam and the Cherry Elvesia Ganache. Boil puree and apple juice. Mix sugar #1 and pectin and add slowly. Add sugar #2, vanilla beans, dried chopped cherries and Glucose. Cook to 107c or 75 brix. Pour onto silpat to cool. 1.Boil Vanilla, cream, and glucose. 2. 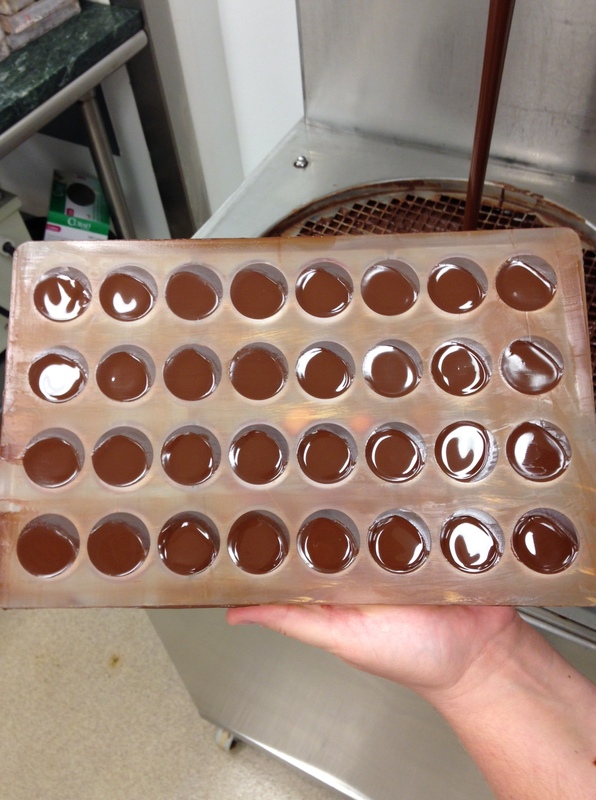 Pour through strainer over chocolates. 3. Stir until fully incorporated and allow to cool to 35 C.
4. Add room temperature butter and blend with emulsion blender. 1. Pipe 1/3 cavity cherry jam first. 2. Pipe Hacienda Ganache ½ of mold. 3. Close mold with 74% (same as cast). Do you have any aspirations to be a Chocolatier? Chef Metheny recommends: Chef Rubber out of Las Vegas, Nevada, Chocolat-Chocolat in Canada and Kerekes (bakedeco.com) in Brooklyn, NY for both small and large mold purchases.